Fibromyalgia’s most characteristic symptom is widespread musculoskeletal pain, and the disorder is also known to cause fatigue, sleeping difficulties, severe mood swings, and to affect memory. Irritable bowel syndrome’s defining features are, on the other hand, abdominal pain, gas, diarrhea and constipation, and mucus-filled stool. At first glance, the two conditions have nothing in common but pain. Yet, research shows that up to 70 percent of fibromyalgia sufferers have symptoms that could indicate irritable bowel syndrome, and up 33 percent were formally diagnosed with the condition. As many as six in 10 people diagnosed with irritable bowel syndrome also have fibromyalgia. What are their common characteristics? Finally, there are medications that can relieve both fibromyalgia and irritable bowel syndrome symptoms. If you have both, this is good news. What medications may be helpful for you if you have both fibromyalgia and irritable bowel syndrome? Antidepressants have been found to play a very useful role in the medical management of fibromyalgia, and patients may be prescribed Tricyclic antidepressants (TCAs), Selective serotonin reuptake inhibitors (SSRIs), or Serotonin norepinephrine reuptake inhibitors (SNRIs). These different classes of antidepressants all work a bit differently, but what they share in common is the fact that they alter your brain chemistry. Which ones have been shown to have potential in offering relief from IBS symptoms? TCAs have been shown to be effective in helping people suffering from different kinds of chronic pain, including those with IBS specifically, find symptom relief. SSRIs have the advantage of usually causing fewer side effects. Studies reveal that they are effective in reducing the pain people with fibromyalgia and IBS suffer. Newer, highly selective SSRIs such as citalopram are, however, less effective. This is because older SSRIs have noradrenergic properties when prescribed in higher doses. 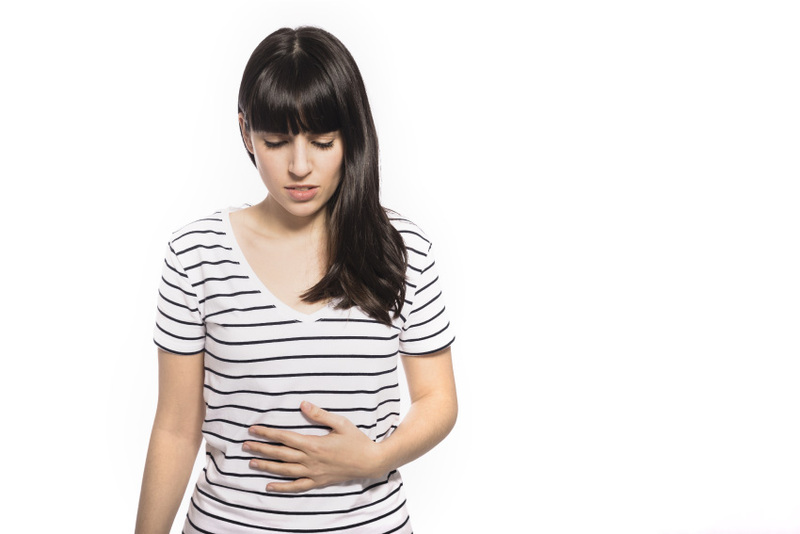 SNRI-wise, Duloxetine has shown promise in treating both fibromyalgia and IBS. It is FDA-approved specifically for the treatment of fibromyalgia. Antiepileptic drugs are also often used to manage chronic pain conditions. Pregabalin is an alpha(2)delta calcium channel ligand, and the first drug to be approved by the FDA to manage fibromyalgia. It has additionally been shown to help decrease abdominal pain in people suffering from irritable bowel syndrome. Gabapentin, a similar drug, can be effective in reducing fibromyalgia and IBS symptoms, as well as preventing the headaches so many fibromyalgia patients suffer from. Sedative-hypnotic compounds benefit many fibromyalgia patients, but have not been shown to be effective for IBS, while the use of opiates in people with these two conditions has not been studied sufficiently. Anecdotal evidence suggests that they sometimes make symptoms worse in the long-term, however, so your doctor will be cautious about prescribing opiates. Tramadol, an opiate that also provides serotonin/norepinephrine reuptake inhibition, is an exception. Though pharmacological treatments may have an important role in your treatment, some proactive steps you can take yourself can also go a long way toward offering some relief from both IBS and fibromyalgia symptoms. Research has shown that the vast majority of fibromyalgia patients have poor fitness levels, and that they do not exercise. By engaging in low-intensity exercises for just 15 minutes twice a week, you may reap many benefits. Try yoga, walking, or swimming, and stick with your chosen exercise in the long-term to see improvements in your symptoms. Keep a food journal. This will help you figure out what ingredients exacerbate your IBS symptoms and which ones you do well with. Eat a regular three meals a day — do not skip meals. Don’t eat more than three servings of fresh fruit. Note that fibromyalgia and irritable bowel syndrome symptoms often first crop up after a stressful event, and also that stressful periods tend to worsen your pain and other symptoms. Finding a form of stress relief that works for you — whether it’s physical, like swimming, or mental, like meditating or even reading — is crucial. Cognitive behavioral therapy can actually fall into the stress-relief category — it can be helpful to talk about your chronic pain, something the people closest to you may not understand, with an unbiased professional. Less stress often means fewer symptoms! In addition, CBS can help you find helpful techniques to manage your pain, such as mental exercises and breathing techniques.